Which works best for getting new business leads; a Lead Generation Service or running PPC ads (Like Google Ads – Formally called AdWords) to bring people to your own web pages? When talking about search engine marketing and PPC ads, many people make an assumption that their website is already set up to easily convert visitors from ads into real leads. Our experience is that many websites are designed by graphics-oriented web designers with little working knowledge about user experience. As a result, many companies often misinterpret the results of their PPC campaigns and miss the opportunity to improve conversion results from BOTH paid ad visitors AND organic visitors. But fear not, companies can make use of relatively inexpensive landing pages for ad conversion while waiting for that dreaded web redesign project to be completed. Which will make you more money? I am reminded of the old seminar presentation question – Which ad campaign should you run – the one that makes you $1,000 or the campaign that makes you $100? Oddly enough many choose the higher return campaign when the correct answer is BOTH – when they both make you money. So this might seem funny coming from a PPC specialist, but our experience is that companies should consider BOTH PPC AND a lead gen service. A properly run PPC campaign in conjunction with a high-quality converting website (or custom landing pages) will almost certainly get you more leads than a lead generation service. However, you should also consider testing lead generation services. If they both make you money then you should invest in both. Our most successful customers have multiple marketing channels that each generate business for them. Some channels are more about branding and hard to measure the direct business affect, but many of the marketing channels are primarily for lead generation and the effectiveness can be measured fairly accurately (At the very least by counting the number of good quality leads generated that are likely to turn into business). Most of our customers have learned it’s best to have multiple marketing channels working for them as long as each is profitable (i.e., resulting in enough new business to make a good profit above the cost of running the marketing channel) and as long as there’s not much overlap between them (i.e. the same potential customer contacts you via both the lead generation service and your PPC ad). Our customers tell us they get good leads from both PPC ads and Lead Generation services and there’s very little overlap. Some people will submit to a lead generation website but many won’t, they’ll look for companies in the search results they can contact directly. So it makes sense to be available to both types of prospects. Most lead generation services do not focus on the top search positions dominated by paid search ads in many markets within the Google, Bing and Yahoo search results. It’s too expensive for them as need to keep their cost per lead low in order to resell the leads (most focus on organic search, affiliate marketing, social media marketing, low volume search engines etc. ).However, many people who are looking for a product or service click on the top search results in Google, Bing and Yahoo. Your own PPC ads can capture many of the people searching. You can afford a higher cost per lead because the leads from your own PPC ads will convert better into business as mentioned above. So consider testing both PPC ads using your own website or custom landing pages as well as lead generation services. You’ll likely find, as many of our customers have found, that they both generate new business leads at a profit with very little overlap. We are Digital Advertising Experts with a Proven Track Record. 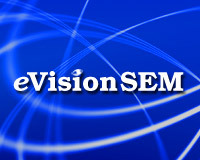 eVisionSEM has been helping clients grow their businesses for over 20 years. We Learn Your Business. One or more senior level consultants are assigned and dedicated to each customer. They learn the customer’s business and work tirelessly and continuously to generate measurable conversions (leads, sales etc.) and ensure the advertising program is profitable. We Know How to Improve Conversions & ROI. We have the expertise to help improve and track conversions after people reach a web site or custom landing pages that we design and develop. We are a Certified Google Partner. Google ensures its certified PPC (Google Ads) partners stay on the leading edge of paid listing best practices.